15 Strongest Spider-Man Suits, Ranked! 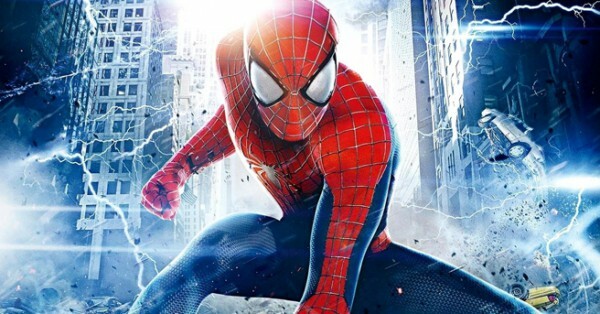 Spider-Man is a worldwide fan favorite as well as most popular Marvel superhero all around the world. Since his first debut in the Amazing Fantasy #15 back in 1962, he dons a number strongest Spider suits. The man behind the mask is no other than Peter Parker, Stan Lee’s most lovable character ever. It was Uncle Ben who guided the hero and taught him the meaning of having powers and its responsibility before his death. Spider-Man faced multiple enemies through his superheroic journey. After a radioactive spider bites his hand, Peter not only granted the abilities of spider but also receives the Genius-Level Intellect. Hence using his intelligence, Peter Parker upgrades his existing Spider costumes as the stronger villain confronts. Every Spider-Man suit serves its unique function. One of the significant points we can notice about Spidey suits is that his character quickly noticeable even if he donned Iron Spider suit. Every spider costume made for every possible situation which Peter had ever face. 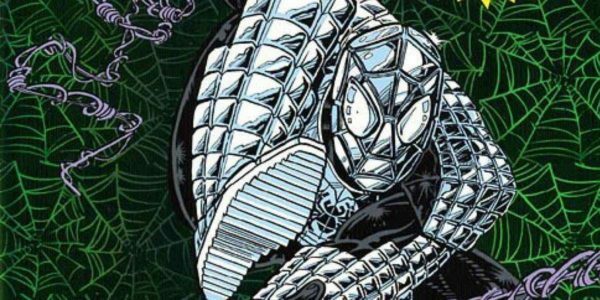 So without wasting any time, let’s get ready to read all Spider-Man’s known unknown suits that every Marvel fan should know. Here is the list of 15 Strongest & Most Powerful Spider-Man Suits Ever. © Sony Pictures. All rights reserved. Peter Parker’s iconic and first handmade spider costume which he has used throughout his career. Made up of spandex which is nothing but stretchy polyurethane fabric includes red and blue color contrast. This costume designed is very simple filled with only two colors. Though it looks like a simple costume, it does include various hidden tools such as the utility belt. Peter always keeps extra webbing capsules if he runs out of it. He also carries Spider-Tracers as well as Spider-Signal for a forensic analysis purpose. Hence, in this costume, Peter Parker can afford to hold utility belt only. However, it’s a fabric design which easier to repair. Even though it does not includes any weapons and explosives, at the end of the day, it’s a best classical suit Peter Parker has ever used which is most versatile and stylish looking. 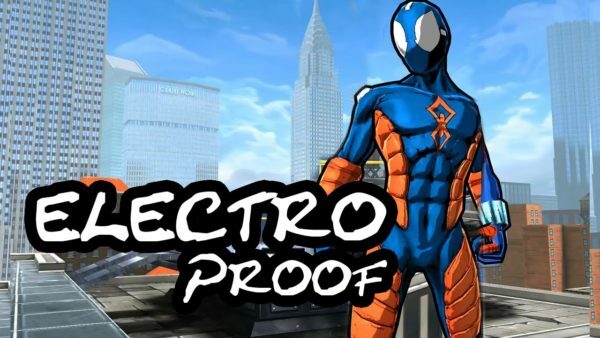 Though it is not very advantageous against all type of villains, Electro-Proof Suit mainly made for Spider-Man’s one of infamous arc-enemies, Electro as he holds electric powers. Electro’s shocking attacks would be meaningless against the Electro-Proof suit since a rubbing padding running throughout the whole costume. 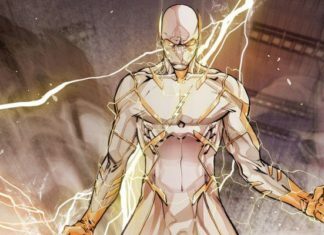 Hence, Electro must come up with an alternative plan before attacking else it would be waste against Electro-Proof costume. However, the only limitation to this costume is that it includes features which counterattacks explicitly electricity powers. Hence if the Sinister Six confronts Spider-Man, then Peter Parker needs to don technologically more advanced suit like Iron Spider. Spider-Armor MK I is pseudo-metallic as well as a bulletproof costume that resists any. In the high-density cities like New York, the criminals always armed with weaponry and guns. So Spider-Armor suit is perfect protection against them. Therefore, it would be beneficial to fight against organized criminals or even someone trained like Punisher. Like each thing born with its limitations, Spider-Armor could slow down Peter due to its heavy weight. 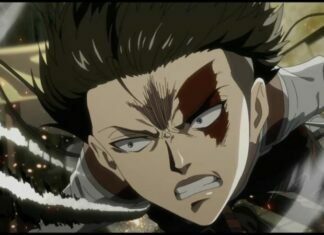 It also made him less agile during the fighting. Although Spider-Armor MK I was featured for an only short period, it becomes a quick fan favorite among gamers. Peter Parker is not the only Marvel character who had beaten by a spider. 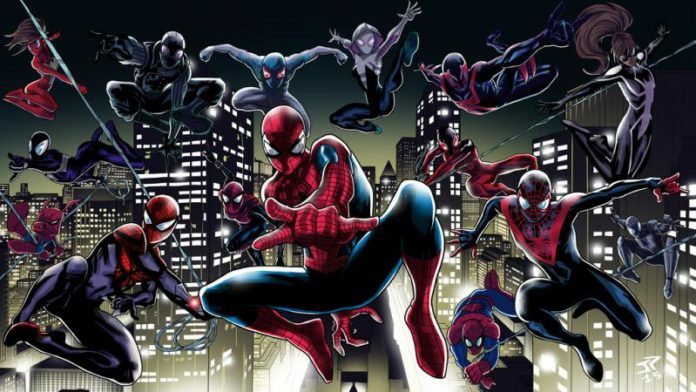 In each alternate universe, there are hundreds of Spider-Mans who has their unique costumes. And Spider-Man 2099 is one of them. 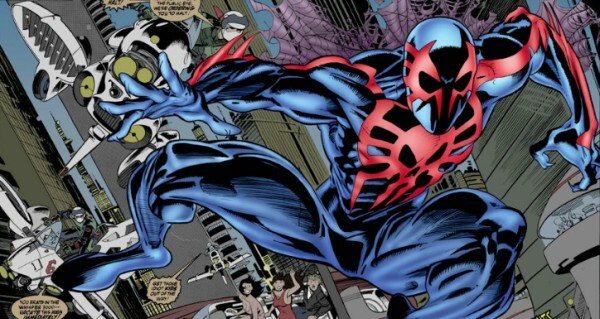 After beaten by Spider, the man under Spider-Man 2099 named as Miguel O’Hara granted superhuman powers. This costume is made up of unstable molecule fabric which makes the suit indestructible. Thus it helps O’Hara to use his claws without even damaging the suit. The exciting thing is that he had telepathy ability that he used to communicate with others. The scientific reason behind it still yet to find but it’s assumed that it because of enhanced spider-sense which mutated in a much different way. It’s not the suit which helps Miguel while fighting villains. 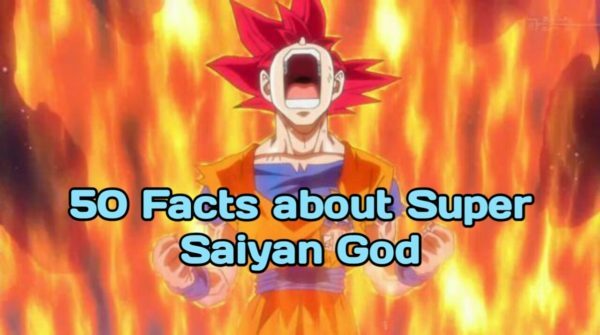 It’s his gifted powers and abilities that always backed him . Having skills such as finest reflexes, healing factor exceptionally, Miguel is the strongest known Spider-Man even known. After joining Future Foundation after the death of Johnny Storm (Human Torch who request Peter to join the organization), Peter Parker received the fantastic modish suit. Given by Mr. Fantastic, Future Foundation suit never get dirty as it made up Unstable Molecules. Even if Sandman attacks with the Sand power, there would be no issue. Additionally, it’s an indestructible one too. Also, this suit can turn back to its tradition Red-Blue form quickly whenever Peter wishes it. Despite being the fact that whole costume is in white, Peter can turn off this suit or even can its color. During nights, Peter can change its color to black making him nearly invisible. In short, by donning Future Foundation suit, Peter Parker becomes a perfect team member of Fantastic Four. Iron Spider is a blending of Iron Man as well as web-slinger which technologically highly advanced suit ever gifted from Tony Stark. Iron Spider made its first appearance in the Spider-Man: Homecoming. In the Amazing Spider-Man #529, Tony Stark built this suit for Peter Parker using Stark Tech. But eventually, Peter rejected Stark Spider Uniform during Civil War. 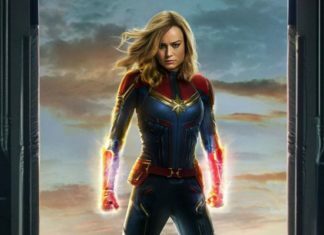 If we compared both versions of the suit, it has nearly the same appearance and functions. In the Avengers: Infinity War, to save Peter Parker’s life from suffocation, Tony called Iron Spider suit. 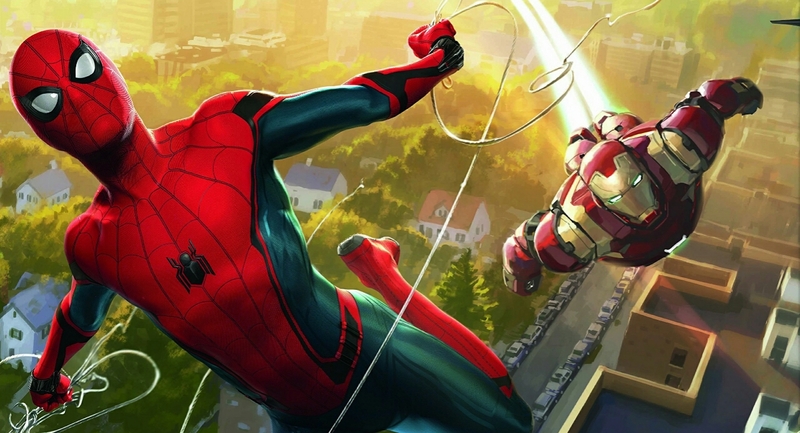 As expected from Spider-Man, the suit had done marvelous during the battle of Titan. Iron Spider features Neural-Reactive Interface that responses to Peter’s input action in no time. Suit’s reaction time so impressive that it always find a way when Peter is in danger. Besides this, it includes Waldoes that controlled by Neural-Reactive Interface, Armored Web-Shooters, Enhanced Lenses, Parachute. Like its predecessor, Iron Spider could have the same function as well as its independent A.I. In conclusion, to date, this will be Tony’s greatest invention and Spider-Man’s strongest suit ever seen. In Spider-Man: Homecoming, Tony Stark did some minor but notable upgrades to Parker’s handmade suit before Captain America: Civil War. 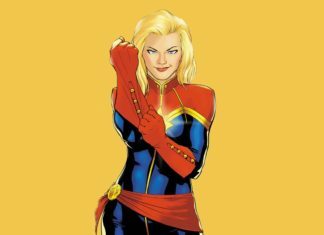 This classic costume holds some remarkable features that could overcome the limitations of old suits. The central part of the outfit is its inbuilt artificial intelligence (Karen) system for the aid of Peter. It allows Peter to use 576 various combinations of his synthetic webbing. Out of 576, Spider-Man shows off Web Grenade, Taser Web, Splitter Web, Rapid Fire, Ricochet Web, etc. This Tech suit further includes one hidden Spider-Tracer in the form of tiny spider bot which helps him for scanning. Like I said earlier, Utility Belt is the essential tool for Spider-Man that holds web cartridges in case Peter runs out of webbing. Additionally Tony added some functions like Combat Mode in which we saw Instant-Kill Mode for a brief amount. It allows him to kill a target instantly. Besides this, the suit had Interrogation Mode, GPS Tracking System, Parachute, Web Wings, etc. Tech Suit had plenty of hidden features that was supposed to activate after Peter completes the Training Wheels Protocol. But if it wasn’t for Ned Leeds who unlocked its bonus abilities, Peter couldn’t have got a hand onto the suit. 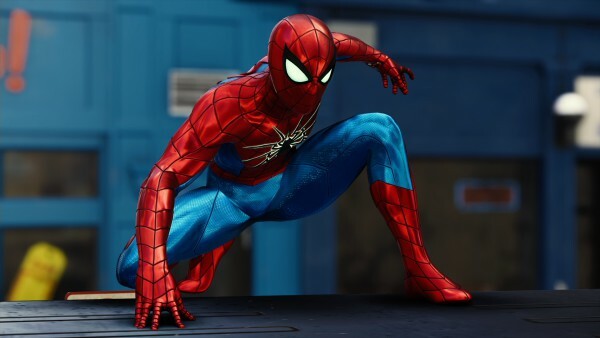 Overall this Spider-Man suit was a complete package that Marvel fans have been waiting. 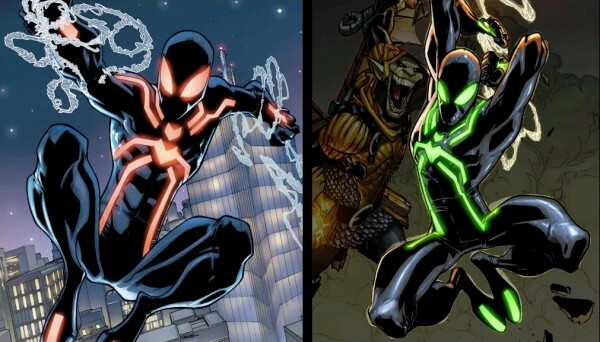 Spider-Man’s one of the arch-enemies, Venom once donned Peter Parker’s body in which hero’s red/blue costume turn into blackish color. It’s not the only color; the Alien symbiote holds some strange powers that improve the host’s abilities at a different level. In the Marvel comics, Alien Symbiote made the first appearance back in Amazing Spider-Man #252 where Peter wore symbiote suit for the first time and fought for good. The advantage of this suit is that it enhanced Parker’s abilities like strength, speed, spider sense as well as a healing factor. It also allows Peter to create unlimited organic webbing from the suit. Besides this, the suit provides mimicking clothing (It would be easier to transform him into Symbiote suit in the public areas) ability to the user, allows breathing underwater, can survive in space, etc. Though alien symbiote possesses such incredible powers, it has one weakness. 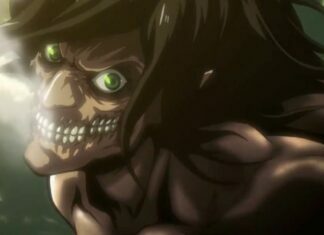 Over time, it will start taking over the host body as well mind and unveils its darker personality. Hence it’s better to avoid Black Symbiote Suit when you already have access to Iron Spider. When multiple enemies confront you, this suit is more very advantageous. 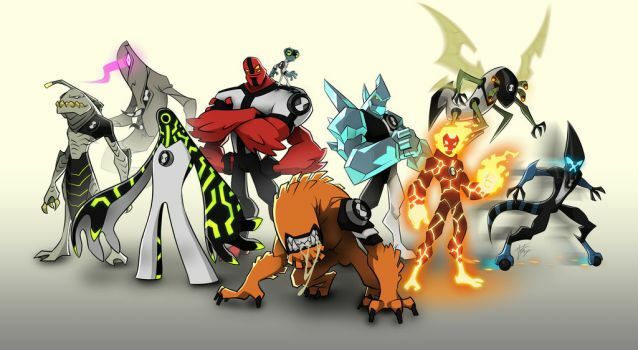 ‘End of the Earth’ lawsuit is also known by Spider-Armor MK III which has many battle features to go against Sinister Six. 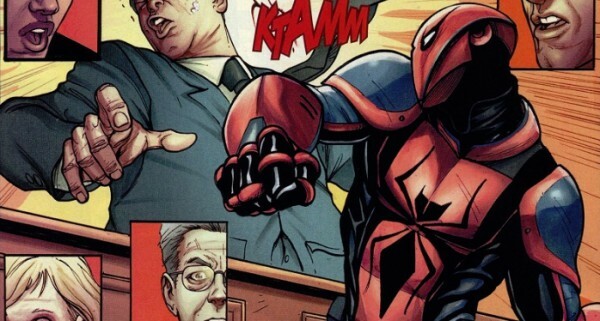 In the Amazing Spider-Man #682, Peter Parker created this suit as a trump card to fight Sinister Six attack the city. 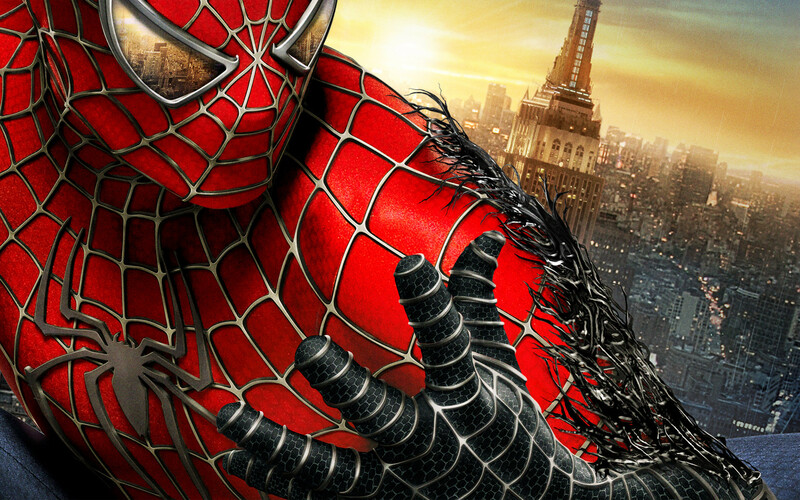 The Spider-Armor includes functions like Electro-proof ability, impact resistance, mechanical web shooters, Hearing Acuity Device, Enhanced Lenses, jet boosters, utility belt, etc. In conclusion, it’s an Iron Spider 2.0 without Spider legs. 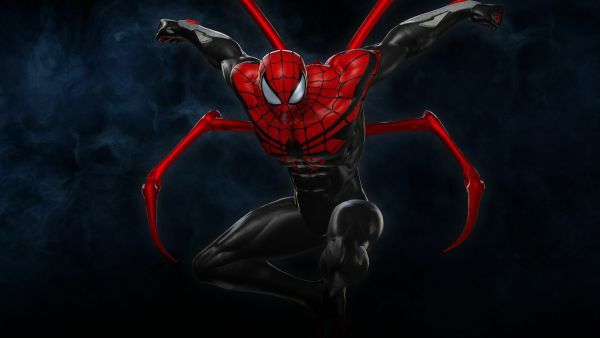 As the Spider-Armor III suit had no limitations, but seriously, If Peter Parker had this type of the suit, it would make very difficult for his enemies to defeat web-slinger. If you want to know Captain Universe’s power, you will be amazed. It was the most robust Spider-Man appearance ever in the Marvel Universe. As the name suggests, its the Omni-Power that granted Spider-Man nearly limitless strength (due to lab accident), provides him immortality, the ability to fly travel within the hyperspace, enhanced senses, etc. While Spider-Man as Captain Universe fought fearlessly against Tri-Sentinel, hero unleashes a powerful blast. When Peter Parker recovered from the explosion, he realizes that the Omni-Power left his body. Sadly enough, Peter lost his superpowers as Captain Universe. Although Captain Universe became one of the strongest and most powerful superheroes in the Marvel universe, it didn’t last long enough. However, still, it’s the powers that Peter wanted to explore so badly. Also known as Spidey Stealth Suit, Peter Parker created this suit back in Amazing Spider-Man #650. It helps him to resist Hobgoblin’s sonic Screams. The suit has a total of two unique modes, and that is Camo Mode and Anti Sound Mode. The first mode turns costume’s glowing light in green color to make Peter invisible expect lens. And second mode turn suit’s color in red that canceled out all sonic related frequency and sounds. The costume is made up of Unstable Molecules.due to which no one can destroy it. Even if it damages or needs to repair, the suit has the inbuilt Healing functionality to mend itself. In short, Stealth Suit will work most efficiently whenever Peter Parker faces enemies with sounds powers. In the total collection from Spider-Armors, Mark four stands out best created Spider suit ever. It is known to be the strongest Spider-Man suit till date. Peter Parker made it in his own Parker Industries that was the successor of its previous MK III along with numerous upgrades and functions. Spider-Armor MK VI has upgraded web shooters (that includes Acid Webbing, Acid Webbing), Explosive spider-tracers, Sonic Disruptors, Spider-Drones, etc. 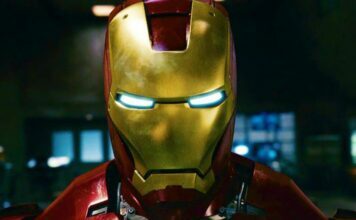 Same as MCU’s Tony Stark’s suit, this suit also made up of liquid nanotechnology that responds to the user’s mental and vocal commands. 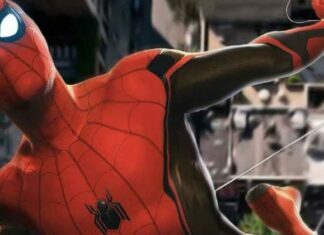 So it would be best if MCU introduced this type of spider costume in the Spider-Man: Far From Home. 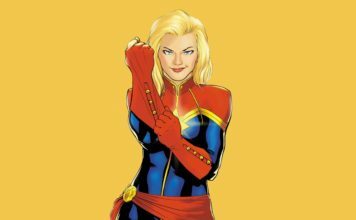 As over a social media, there are already rumors of Tom Holland’s new suit. Fear Itself suit first appeared in ‘Fear Itself #7‘ that made up of Uru metal which was the same metal that created Mjolnir. Thus, it was supposed to be the strongest Spider-Man suit. But it didn’t last long enough. The Fear Itself suit had two gauntlets with blades that act as a melee weapon. When self-proclaimed True All-Father of Asgard, the Serpent begins to rampage Earth by spreading fears, Earth heroes defended him. 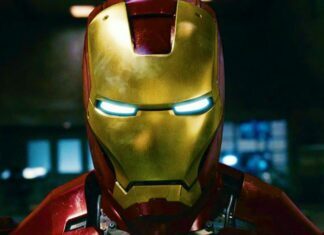 To stop such a deity evil, Tony Stark made Fear Itself suits for every, and Peter’s one is among them. However, as per Odin’s order, Tony destroyed it. 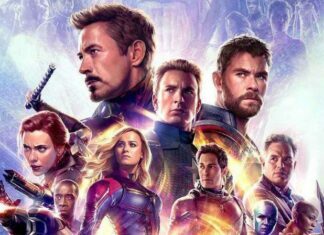 Peter Parker is not the only Spider-Man exist in the Marvel universe. There are unlimited web-slingers out there in the whole multiverse. Out of them, Max Borne from Earth-9500 is a Spider-Man from the year 2211. His spider costume is different than Peter’s iconic suit, which includes four extra mechanized arms, unlike Iron Spider’s Waldoes. In this suit, Dr. Jamoff Borne can control these cybernetic arms mentally. On top of that, this spider armor is entirely bulletproof. The suit is also comprise guided webbing controls, electro-webbing sensors, rocket boots. What makes this version of Spider-Man different is Spider helmet that tells him near possible future. Can you imagine if Otto Octavius as a friendly neighbor Spider-Man? In Amazing Spider-Man #700, dying Otto Octavius swap his brain with Peter Parker while original Spider-Man trapped Otto’s body. Having possession of one of the great Marvel hero, Otto realized Peter’s painful past story. Thus, it led him to become a better fan by leaving his legacy. After Peter Parker died, Otto Octavius becomes new web-slinger calling himself “Superior Spider-Man.” He improved existing spider costume to a further extent like advance computerized lenses and much more. To prevent his mind-swaps again, he installed a layer of carbonadium withing mask. Furthermore, he placed retractable talons (claws) on his hands as well on feet for combat purpose. The exciting thing is that Talons can ejects nano-spiders-tracers that assist in tracking and paralyzing the opponent. 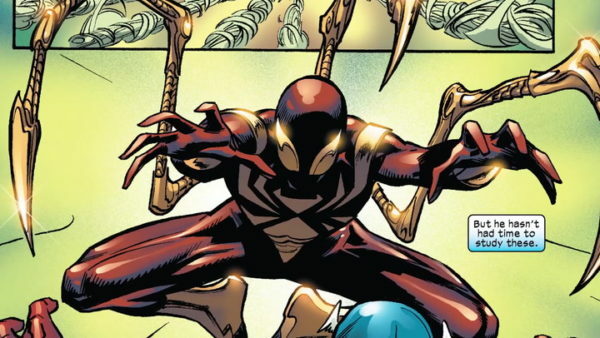 Sometimes the Superior Spider-Man also resembles Iron Spider when it comes to its Spider limbs on suit’s back. 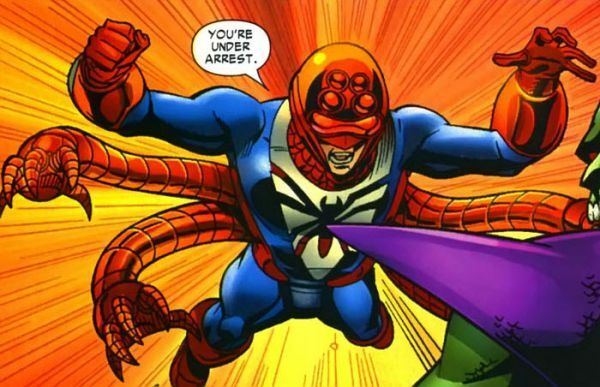 Otto installed four arms that can reach a longer distance making Superior Spider-Man suit even most robust costume ever. When Otto found Peter’s consciousness still existed within his old body, he sacrifices himself and restores hero to his original body, which allows Parker to become the real owner of Superior Spider-Man. So these are notably most reliable and most potent suits that Peter Parker has ever used. Which one is your favourite? 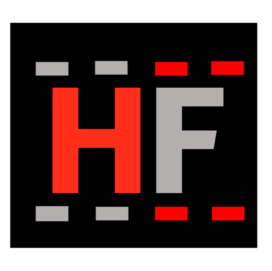 Do comment and let us know what do you think. 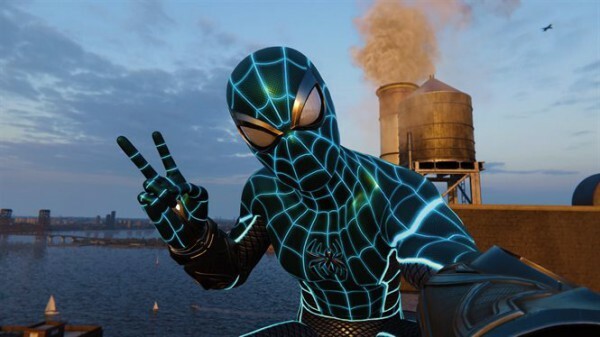 MORE: Spider-Man PS4: All 28 Suits’ Power You Need To Know, Ranked! Marvel's iconic superhero and friendly neighborhood Spider-Man has been wearing multiple costumes throughout its journey. In this article, you will find some of the Strongest Spider-Man Suits. So enjoy reading the post and do comment what your favorite one is.